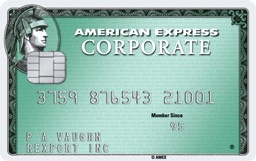 Marketed by Australia and New Zealand Banking Group Limited, Singapore Branch and issued by American Express International, Inc., Singapore Branch, the partnership presents a best-in-class corporate payment solution as a seamless addition to ANZ’s wide suite of solutions to help companies amplify business growth and manage their business cash flow. Australia and New Zealand Banking Group Limited Clients can benefit from rewards, returns and reliability with the ANZ American Express Corporate Card. Membership Rewards® points have no expiration date and there is no limit to the amount of points you can receive. Credit-free Days: Actual credit-free period will vary based on the date of charge and the billing cycle cut-off date. Corporate Membership Rewards® Programme: A company may participate in the Corporate Membership Rewards Programme and open a Programme Account subject to approval from American Express. A Programme Account cannot be linked to an individual Membership Rewards Programme Account. 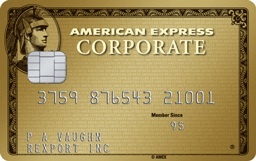 American Express® Gold Corporate Card, and American Express® Corporate Card are eligible for enrolment. A company must enrol the Card(s) it wishes to earn points under the Programme. Annual fee for participation in the Programme is S$75 per Card, inclusive of GST, that is enrolled in the Programme. For full Terms and Conditions visit americanexpress.com.sg/mycmrterms.